Animals Level 1 is an application that aims to improve receptive language development through complex sound patterns that are matched to specific animal visuals. Upon opening the application you are presented with two animal images, by tapping the animal you hear a short 3- second music segment. 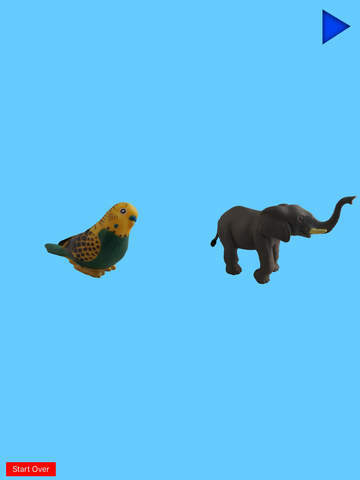 Once you have heard the segment from both animals, you are presented with an animal silhouette and are tasked with tapping the silhouette to listen to the music segment and dragging the correct animal to match. 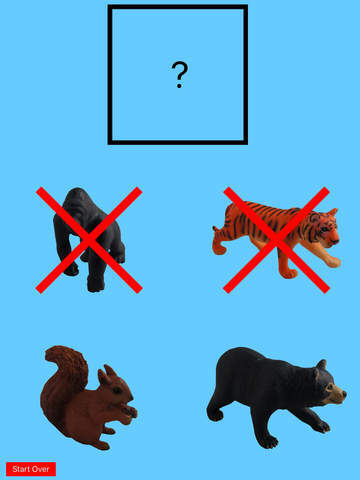 Two more animals and accompanying music segments are introduced in a similar way increasing the complexity of the task followed by a box with a question mark. 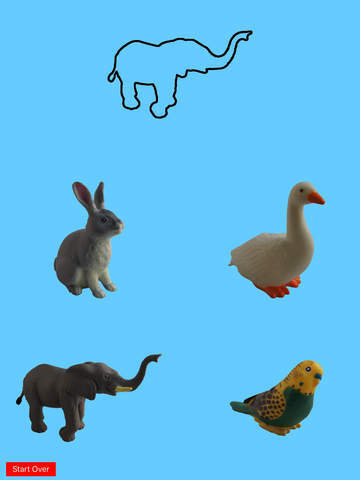 Below the box are images of the four animals and by touching the box, a music segment is played and you need to drag the correct animal to the box. Learning how complete each task is initially through trial and error, which is intentional on the part of the developer to improve problem-solving skills, a good feature for many, but may become a little frustrating for some users with additional needs. Once the first four animals are presented to you, a further eight are introduced in a similar manner. 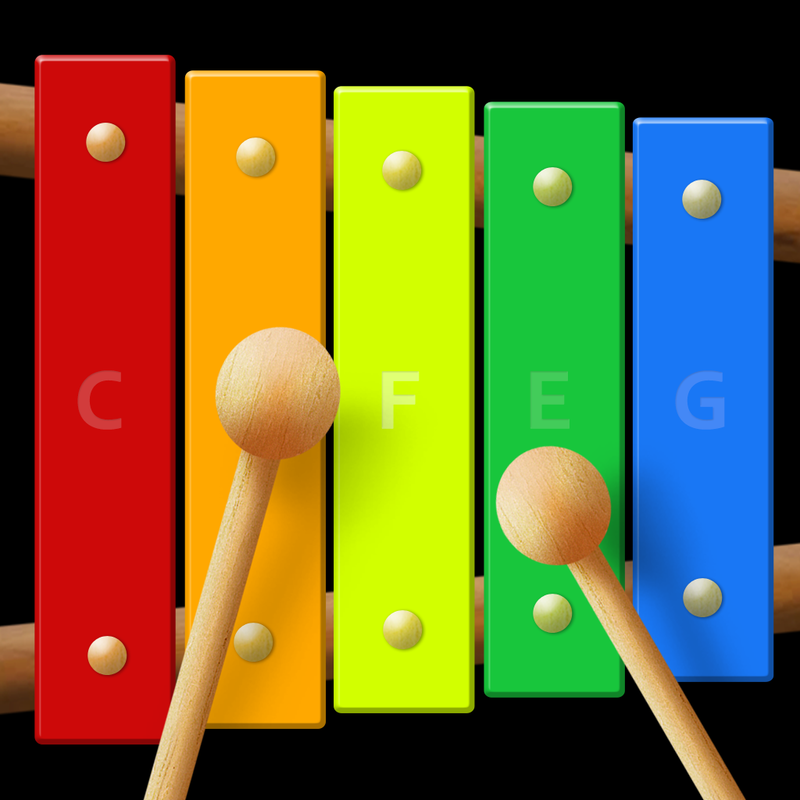 This aspect aims to develop children's awareness of sounds made by various instruments and noise makers. Activities include comparing and matchzing sound makers, playing instruments alongside a story and making loud and quiet sounds. Using Sounds to Symbols will help in the development of many skills that allow for the improvement of language acquisition and early literacy skills. These include; matching, categorizing, understanding pattern, syllabic understanding, deductive reasoning, working memory, attention as well as motor planning. This app can be used with all children from 2 years onwards but I believe it is particularly useful for children with language development difficulties or autism. Many children with these difficulties find it hard to discriminate sound, which in part can lead to language delay and difficulties with grasping early literacy skills. Overall Sounds to Symbols Animals: Level 1 is a good application. The interface is easy to use and the audio recordings are really good. 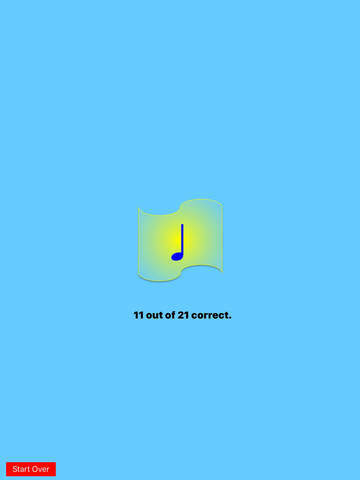 In the app store description, it states the musical segments 'include syllabic rhythm of corresponding visual images'. I found that this was not the case with some recordings. I also feel it is quite limited in the activities available and found that the lack of variation could prevent children being engaged enough to come back to play again. This being said, it is level one in a series, so once a child has mastered level 1 they could advance to the next level. Further activities within level one could increase engagement and ensure greater consolidation. Additionally, I feel the pricing is not suitable for level 1. Offering the app for free at level 1 would attract more people to buy the app with further levels to be offered for purchase. A profile option would also be useful to enable teachers or parents to measure progress through each level. With a few additions this could be an excellent application.